NIPER Recruitment 2018 2019 Application Form for 07 Finance and Accounts Officer, Section Officer (Store and Purchase), Technical Assistant Computer Section, Library and Information Assistant, Assistant Grade Posts Download Application through Official website www.niperraebareli.edu.in. NIPER Assistant Grade - III, Finance and Accounts Officer Jobs Notification 2018 Released. 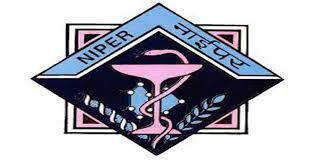 NIPER invites Walk in Interview for appointment in following Assistant Grade - III, Finance and Accounts Officer post in National Institute of Pharmaceutical Education and Research. Candidates are requested to Download Application through Official website www.niperraebareli.edu.in. Prospective candidates will have to before Walk in Interview carefully reading the advertisement regarding the process of examinations and interview, eligibility criteria, Offline registration processes, payment of prescribed application fee/intimation charges, NIPER pattern of examination, NIPER Syllabus, NIPER Question Paper, NIPER Walk in Date, NIPER Result Date etc. 3. Technical Assistant Computer Section - MCA, B.E./B.Tech (Computer Science/ IT). 5. Assistant Grade - III - Graduate with 55% marks with fluency in English and proficiency in MS office & computer operations. National Institute of Pharmaceutical Education and Research (NIPER) Raebareli Campus, Shree Bhawani Paper Mill Road, ITI Compound, Raebareli - 229 010.